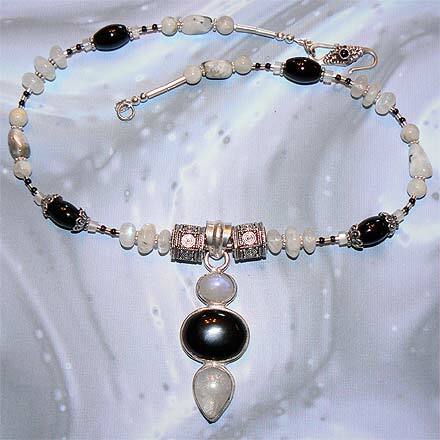 Sterling Silver Moonstone and Black Onyx Necklace. See Closeup. 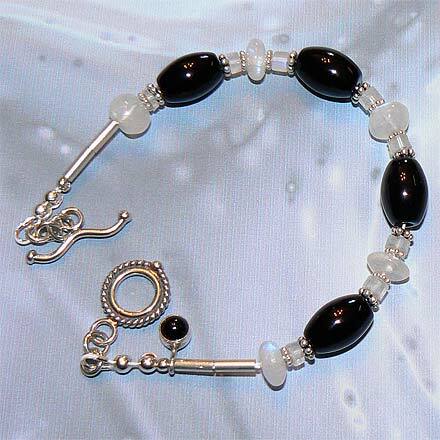 Sterling Silver Moonstone and Black Onyx Bracelet. 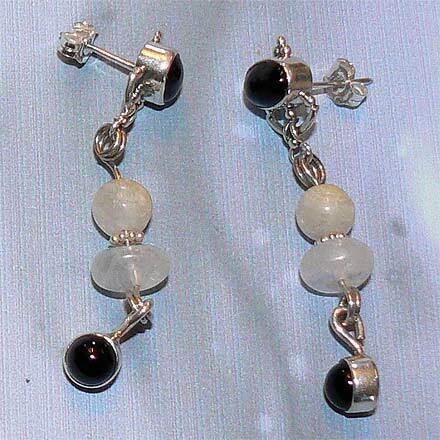 Sterling Silver Moonstone and Black Onyx Earrings. "Two stones, one black, one white." 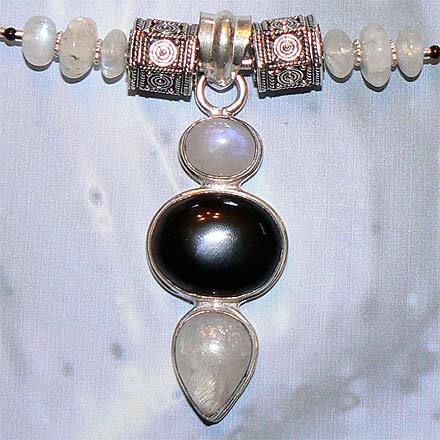 That reference is not "LOST" on this jewelry set, featuring white Rainbow Moonstone and Black Onyx. For those who are interested in Astrological significances of stones, Moonstone corresponds with Cancer and the month of June and Onyx corresponds with Leo.